We are singing out our colors in support of the great work This Old Horse does for our equine relations! 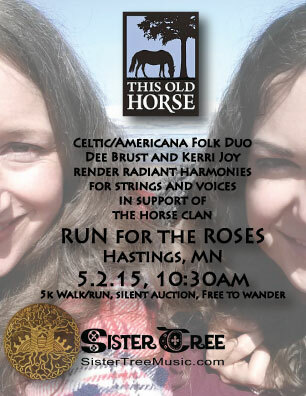 Hoof it to the 5K walk/run, wander about the grounds, and take home a treasure from their silent auction. We’ll be playing throughout the morning, and hope to see you there!